Remembering Blaine Ashe | Remembering Blaine Ashe | De Soto Obituary Search | Dietrich-Mothershead Funeral Home, Inc. Remembering Blaine Ashe | De Soto Obituary Search | Dietrich-Mothershead Funeral Home, Inc.
Blaine Allen Ashe was born on September 15, 2006 in Crystal City, MO. He was the son of James Allen & Courtney M. Ashe of De Soto. 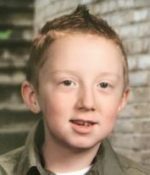 He died on March 20, 2016 at St. Louis Children’s Hospital in St. Louis, MO at the age of 9. He is survived by his parents, his brother, Cayden Ashe of De Soto, MO; grandparents, Renee (Paul Faulkner) Evans of De Soto, MO; James (Jessica) Ashe of Festus, MO, and Jerri Carter of St. Louis, MO; and great grandmothers, Margie Walker of Crystal City, MO and BettyCarter of Pevely, MO. 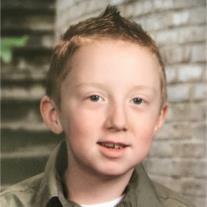 Blaine was a student at Athena Elementary School.